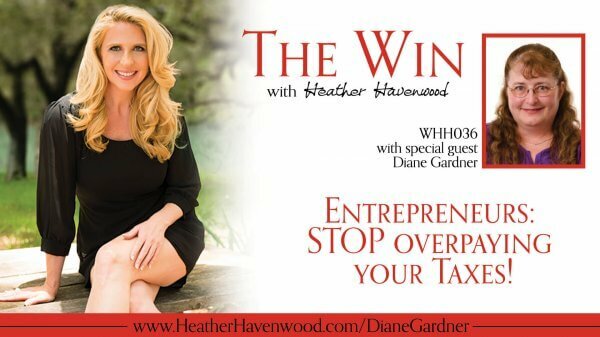 Diane Gardner is a Certified Tax Coach, and bestselling author, “whose proactive planning approach gives clients a leg up on Uncle Sam and helps them dodge the tax bullet.” To date, Diane had saved her clients a total of over 1 MILLION dollars! Diane equates the process of finding the right tax professionals to dating and I think it's a perfect metaphor. She says you have to start getting to know them gradually and build up the relationship once you feel comfortable. I used to just assume a CPA was there to give me advice and help me figure out how to save the most money on taxes. However, through some difficult and expensive lessons, I've learned this isn't always the case. Diane gives a breakdown of the three main levels of engagement you can get from a tax professional depending on what you hire them for: tax preparation, tax projections, and tax planning. Diane Gardner is a Certified Tax Coach, Quilly award recipient, and best-selling author whose proactive planning approach gives clients a leg up on Uncle Sam and helps them dodge the tax bullet. Diane saves small business clients between $5,000 and $50,000 in as little as 60 minutes! In this clip, I'm interviewed by Lance Tamashiro of The Lance Tamashiro Show podcast. Check out the full interview here.